Lactococcus sp. bacteria. 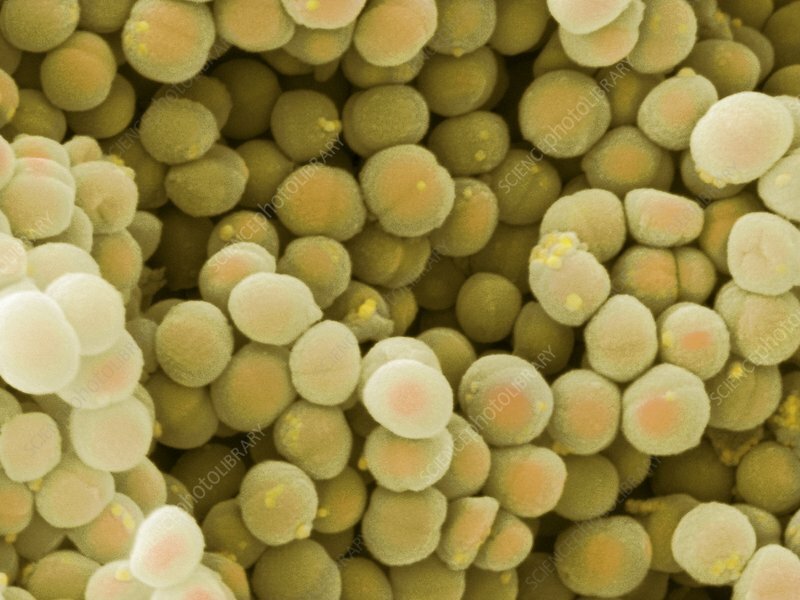 Scanning electron micrograph (SEM) of the bacteria Lactococcus sp. It's most common application is in the production of dairy products, such as cheeses and yoghurts. Lactococcus is a genus of lactic acid bacteria and they produce just a single product (lactic acid) from glucose fermentation, unless they are altered by adjusting culteral conditions such as pH or glucose concentration. They are found in chains, in pairs or singly and are gram-positive, catalase-negative, non-motile cocci. There are strains of this genus that are known to grow at low temperatures ie. Magnification x50000 (x12500 at 10cm wide).